Beginning August 1st, 2012 Dr. Salvador Cavazos is the new superintendent for Goose Creek CISD. Board of Trustees unanimously elected Dr. Salvador Cavazos who signed a three-year contract with the district during a special meeting this past July 19. “I’m looking forward to working with all the staff at the GCCISD,” said Dr. Cavazos. Plans for student success are underway by “Improving student achievement for all students and making sure all students are college and career ready when they graduate from my district,” said Dr. Cavazos. Dr. Cavazos currently serves as superintendent in Alice ISD and with more than 24 years of experience in Texas public schools, he also has served as Assistant Superintendent for Curriculum and Instruction in Brownsville ISD. While working there, the district received the Broad Prize in Education, placing Brownsville ISD as the highest academic performing urban district in the United States. 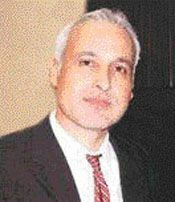 Dr. Cavazos earned his bachelors degree in Political Science and English from the University of Texas Pan America and his masters degree in Educational Administration from the same university. In 2002, he earned his doctorate degree in Educational Leadership at the University of Texas in Austin. “We are very excited about moving to Goose Creek, they are a wonderful community, wonderful school district,” said Dr. Cavazos. Dr. Cavazos is the 14th superintendent in Goose Creek CISD, and he replaces Dr. Toby York who is retiring in July 31. CROSBY  The builders of the Overpass in Crosby are meeting challenges and talking about changes coming to the local traffic flow. David Boehm, owner of N.B.G Constructors was exhausted last Tuesday having had his company tapped to perform the emergency bridge repair in IH-10 last weekend ( a truck burned under it and damaged the bridge) but they got it done on time (within a single weekend) and have a history of getting large projects done on time. The Overpass of Railroad tracks on Main Street in Crosby is scheduled to be completed in late Summer of 2013. N.B.G Constructors is within their first Milestone Incentive for finishing on time and it seems they are making progress to meet their Milestones of construction. They are still in the First Milestone of the construction of the Overpass of the local Union Pacific railroad tracks locally but have surmounted a challenge at South Diamondhead with the left turn signal for northbound traffic. “We have made some changes in the traffic control sequence because of traffic backing up at South Diamondhead because people wanted to turn left. TXDoT and N.B.G. Constructors got together and we fast tracked some of that paving over on the East side of the road to where we have a left turn lane and now we are going to be paving the North end of that section, out of sequence a little bit, to make things easier on the travelling public.” said Boehm. “We opened that left turn lane a little ahead of the plan to keep traffic flowing.” Boehm answered. So what is the next traffic switch coming for this area? “Have you seen where we are building what we call frontage roads on the East side of the construction? We will be pouring traffic over to that East side into the new frontage road so that we have two lanes going North and one lane going southbound on the extant FM 2100. We are doing everything we can to keep the traffic flowing well.” answered Boehm. 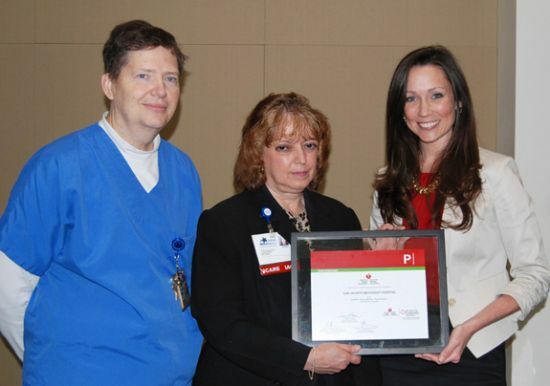 BAYTOWN  (July 10, 2012)  San Jacinto Methodist Hospital received the American Heart Association/American Stroke Associations Get With The Guidelines-Stroke Gold Plus Quality Achievement Award for the second consecutive year. The hospital received the Silver Achievement Award in 2010 and the Bronze Achievement Award in 2009. The award recognizes San Jacinto Methodists commitment and success in implementing excellent care for stroke patients, according to evidence-based guidelines. To receive the award, SJMH achieved of 85 percent or higher adherence to all Get With The Guidelines-Stroke Quality Achievement indicators for two or more consecutive 12-month intervals and achieved 75 percent or higher compliance with six of 10 Get With The Guidelines-Stroke Quality Measures, which are reporting initiatives to measure quality of care. San Jacinto Methodist Hospital is to be commended for its commitment to implementing standards of care and protocols for treating stroke patients, said Lee H. Schwamm, M.D., chair of the Get With The Guidelines National Steering Committee and director of the TeleStroke and Acute Stroke Services at Massachusetts General Hospital in Boston. San Jacinto Methodist Hospital has also committed to having the best possible outcomes for victims of in-hospital cardiac arrest by participating in the American Heart Associations latest Get With The Guidelines module, GWTG- Resuscitation. The goal of this program is to help hospital teams save more lives threatened by cardiopulmonary emergencies through consistent application of the most up-to-date scientific guidelines for in-hospital resuscitation. For more information on services offered at San Jacinto Methodist Hospital, call 832-556-6543. 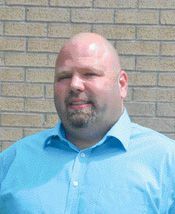 Greg Bower from Corsicana ISD is the new principal of Crosby High School for the 2012-2013 school year. Mr. Bower has a Bachelor of Science degree from the University of Texas-Tyler where he majored in history, and a masters degree from UT-Tyler. He holds a Principal certification from Texas A & M at Commerce as well as a Superintendent certification from UT-Tyler. During his first teaching experience, Mr. Bower taught English and history in Scurry-Rosser ISD. At Sam Houston Middle School in Garland, Texas, he gained experience as a middle school English and history teacher and English department chair. During his tenure at South Garland High School, Mr. Bower served as an English instructor and as an English TAKS coordinator. At Corsicana High School Mr. Bower served as Assistant Principal, Associate Principal and three years as the Principal. Under his leadership at Corsicana High School, the school earned Recognized Status with the state and also met Adequate Yearly Progress (AYP) federal requirements for the first and only time in the schools history. Newcomer of the Year at South Garland High School. As principal of Corsicana High School, he and his team decreased violence by 300% and began closing the achievement gap between struggling, at-risk students and those academically successful. Also, while principal at Corsicana High School, he was one of the Region 12 Educational Service Centers Principal of the Year finalists. Mr. Bower’s wife of 18 years is Melissa, and he has one child, a seven-year-old boy named Dakota Zane. Crosby ISD welcomes Greg and his family to the district and the Crosby community, and looks forward with great anticipation to another great year at Crosby High School. 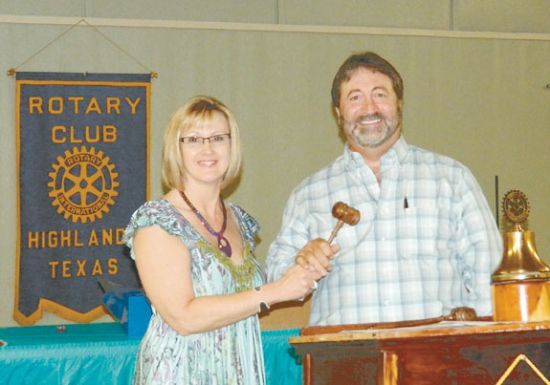 HIGHLANDS  Culminating an eventful and successful year, outgoing Rotary president Denise Smith hosted the Installation Banquet last Friday night, June 29, as the new president for the 2012-2013 year, Dane Listi was sworn into office by Constable Ken Jones. President Smith greeted guests and spouses as the 65 persons attending enjoyed seafood cooked up by the Henderson cooking team at the Baytown Boat Club. In an annual tradition, Smith reviewed the highlights and foibles of her year in office. The Partners In Education projects included 250 dictionaries, backpacks, 150 recorders for the music department, bicycles for perfect attendance, Red Ribbon week promoting drug awareness. At Christmastime, the club delivered 131 food baskets to needy families. For area youth, we sent 47 students to RYLA, a leadership conference, sponsored two Interact high school clubs, and awarded Scholarships for college to 15 students totalling $25,500. A major project this year was funding a new Walking Trail in the center of Highlands, beside the elementary school. This was in memory of our friend Mark Mulloy, and used funds he provided. It was also spurred by suggestions from Cindy & Lindy Creel. Our international projects included helping adjacent Rotary clubs with a water well project in Guatemala, continued support for the eye clinic in Guerrero, providing nets to protect against malaria carrying mosquitoes in Africa, and a joyful and rewarding year with our Spanish exchange student, Mariam Garcia Alfaro. Awards were given to outstanding Rotarians, and then Dane took his oath of office given by Constable Ken Jones. He introduced his officers and board who were also sworn into office. Weston Cotten, Community; Betty Brewer, Membership/PIE; Denise Smith, Polio Plus; Dr. Larry white, Scholarships; Gil Hoffman, Programs, Sheila McDonald, Vocational. 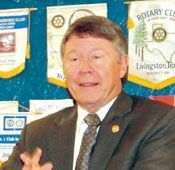 HIGHLANDS  Harris Countys chief executive, Judge Ed Emmett, spoke to a full house of Rotarians, guests and interested citizens last week at the regular luncheon of the club. About 45 persons filled the room, to hear about county government concerns. Emmett started by reminding everyone “I’m not a judge,” the title a misnomer, because he is really the countys chief executive instead. Emmett was speaking on familiar ground, since he was the state representative for East Harris County, including Highlands, starting in 1978 until the 1980 census caused redistricting. He remained a state legislator for the area, however, until 1986, so he is very familiar with citizens needs. Now he is in charge of a county of 4 million persons, the third largest in the United States, he said. It is more urban than rural, unlike many Texas counties, and is growing fast in the suburbs and especially to the east. One reason for this expansion is the toll road system. Emmett said that the countys Office of Emergency Management has become an expert on how to handle hurricanes, after Katrina, Rita, and Ike. Although the response was not perfect, Emmett said they learned a lot, and are in good shape to handle the next hurricane. One thing they learned was that neighbors helping each other was the best quick response. Also, the PODs or points of distribution for relief supplies should be located near refuge areas, not in the middle of disaster areas, to facilitate movement to them. Also, fuel supply locations should be announced for next day, not current areas, to avoid traffic jams. Emmett did not think 2012 would have any disastrous hurricanes for the Gulf Coast, based on his information from meteorologists. Emmett said that he is not ready to make a decision on the fate of the Astrodome, and especially since he realizes its significance to many people. A quick poll at the luncheon indicated about 50% wanted to save it, 50% thought it could be torn down. Ideas for saving the dome are many, he said, including a recent one to combine a new AstroArena with a refurbished Astrodome. However, even this scheme would cost about $400 million, necessitating a tax increase, which may not be acceptable to the taxpaying public. He mentioned that there is one other solution, but also controversial, and that is building a Casino inside the dome. This is actually not legal currently, and would require the state legislature to authorize a casino, not a likely scenario. Emmetts area of most interest throughout his career has been transportation, and he is currently involved with railroads, highways, and shipping decisions related to Harris County. He feels that the toll road system is very beneficial to growth and mobility, and the HCTRA made a wise decision not to pay off their bonds, so that more funds are now available to expand the system. He pointed out that the managed lanes on several freeways are about to start, and you will be able to use the HOV lanes by paying a fee. Railroads in the area are vital to our growth, and to keep commerce working, he said. Light Rail will be better when it is a complete system, and it remains to be seen whether the problems on Richmond and the Post Oak spur can be resolved, perhaps by a redesign. Emmett thought that it might be too costly to build an alternate route, with a potential lower ridership. Commuter rail will happen soon, he said, with the first line probably on the Hempstead/US290 corridor. However, one drawback at present is the connection at the south end of the line, because it doesnt finish in the downtown area. This remains to be resolved, he thinks, before it can really be successful. He said private firms, especially a Japanese one, are planning to invest in a Houston-Dallas high speed rail service, but this may be a few years away. “Our transportation decisions must plan for 30 to 40 years from now,” he said, with thoughts of seaports and airports in mind, as well as highways. His talk turned to the Port of Houston, and in particular the Bayport terminal. He said that the port is the “economic engine” that drives the region, noting that contrary to common thinking, we actually export more goods than we import at this port. Then he mentioned that we should partner with Freeport for many types of ships, because it is a better deep water port for future giant ships, closer to the coast and with less dredging required for deep water. He predicted that the $100 million Cruise Terminal at Bayport will eventually be used, but admitted it was not a good decision when built. In a surprise statement, Emmett said that our future post business will come from Brazil, Africa, and India, not China or the Panama Canal expansion, because it is still cheaper and faster for Pacific countries to unload on our west coast. Emmett praised Rotary for the work that they have done worldwide with immunization, relating some personal experiences that made him admire our Polio Plus program.